Who are the people behind this blog? Read on to find out. 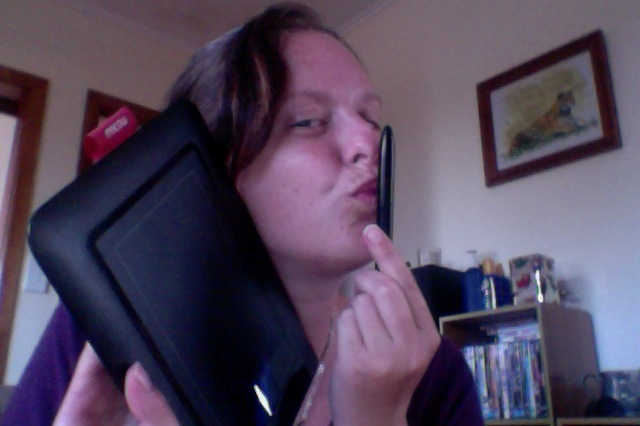 I love my Wacom. One of my paintings in the background. Kayleigh & Emmaly – The aftermath of Emmalys birthday cake. 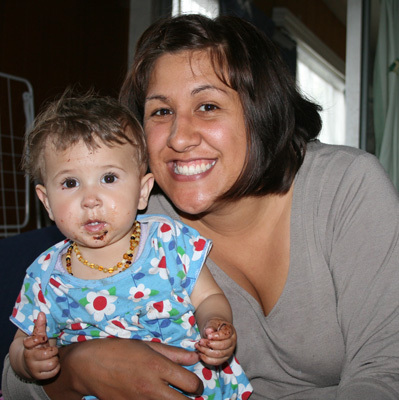 I’m a single mum, living in Auckland, New Zealand. I love to do all things crafty and enjoy spending the wee hours of the morning at my sewing machine (instead of sleeping). My love of crafting developed from spending all of my school holidays with my favourite aunt, and also from my mum who taught me to knit, crochet and sew, and I’ve developed my crafting skills even further, diving into the world of woodworking – hand carving and power tools!